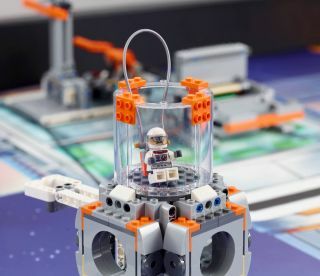 Today at the FIRST Championship Houston, LEGO Education and FIRST unveiled two new, exclusive space sets to inspire participants in the 2018-2019 FIRST LEGO League Jr. and FIRST LEGO League season. The programs for the new season are themed “MISSION MOON℠” and “INTO ORBIT℠” to help build students’ curiosity around space exploration and scientific discovery while developing their STEM skills and experience. Students are tasked with completing a space challenge designed in partnership with astronauts and space experts and will use a variety of LEGO Education solutions including the space-themed FIRST LEGO League Jr. Inspire Set and FIRST LEGO League Challenge Set, LEGO Education WeDo 2.0 or LEGO MINDSTORMS Education EV3.